The Days Inn Macedonia, centrally located between Akron and Cleveland, is conveniently situated off I-271 at Exit 18. Our hotel offers Free Wireless High Speed Internet Access, Free Local Calls, Seasonal Outdoor Swimming Pool, Guest Laundry and is adjacent to Denny's 24 hour restaurant. 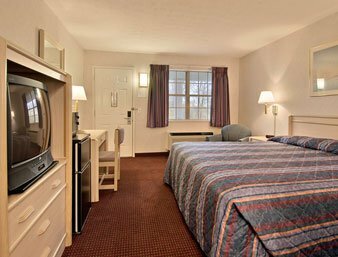 Our rooms feature Coffee Makers, Hair Dryers, Alarm Clock Radios and 25 Inch Cable Television with 4 HBO and 4 ESPN Channels. Come experience Clean, Comfortable Rooms, all at a Great Value, at the Days Inn Macedonia.